Making a simple syrup is very easy, it is just water and sugar. 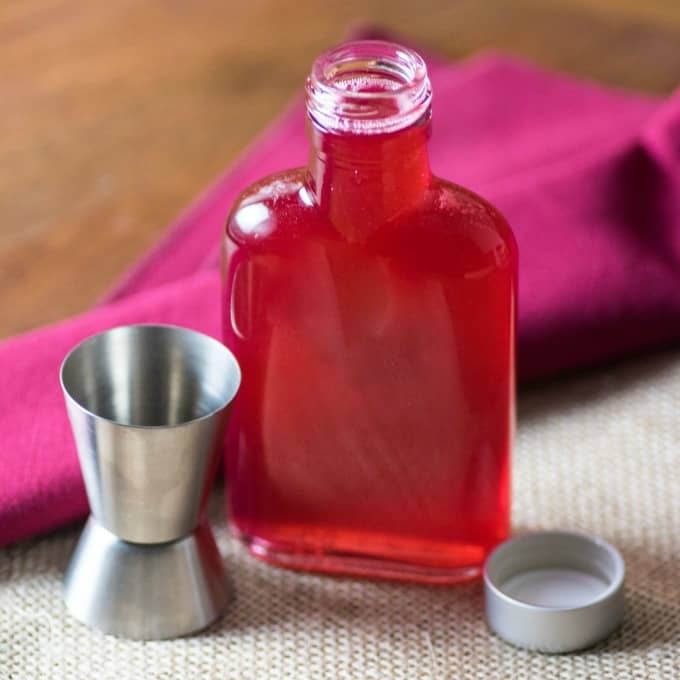 To make a Rhubarb Syrup it is just as easy as all you add in is rhubarb. If you have a big garden of rhubarb like we do, you will want to come up with delicious recipes to use this wonderful vegetable that many consider a fruit as it is almost always combined with sugar because of its very tart nature. When I made this rhubarb syrup I had a cocktail in mind. A rhubarb margarita but once you have made your easy rhubarb syrup you can add it to any beverage be it a lemonade, cocktail or even as a syrup on ice cream. 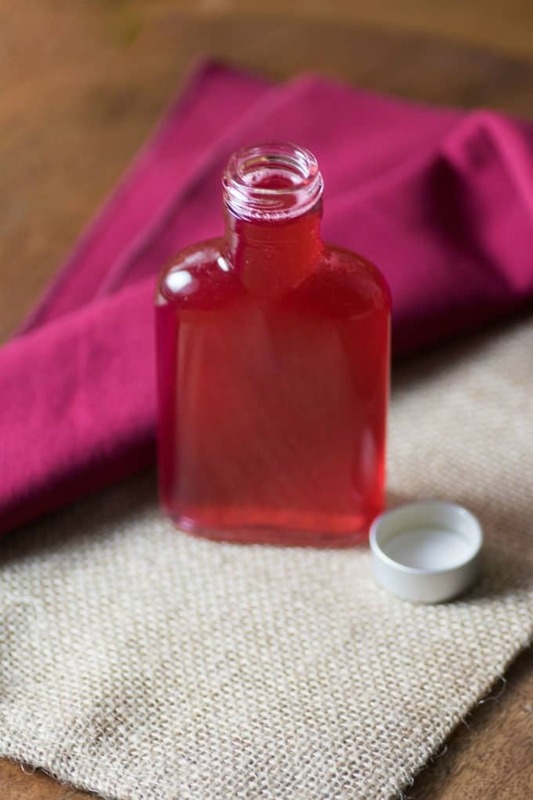 What a magnificent color this simple syrup becomes when adding in ruby red rhubarb. We love that tart, unique taste of rhubarb here and one of my most popular posts are Rhubarb Dream Bars. I have also made Rhubarb Strawberry Cobbler, Super Easy Rhubarb Tarts, Old Fashioned Rhubarb Loaf, Rhubarb Strawberry Crisp, Rhubarb Strawberry Sour Cream Pie, Rhubarb Lemonade, Rhubarb Ginger Granola Parfaits, and Strawberry Rhubarb Compote. We made this amazing Rhubarb Margarita with our rhubarb syrup! Tart and sweet and such a gorgeous color too. You will want to start making these right away if you have frozen rhubarb in the freezer from last year!! 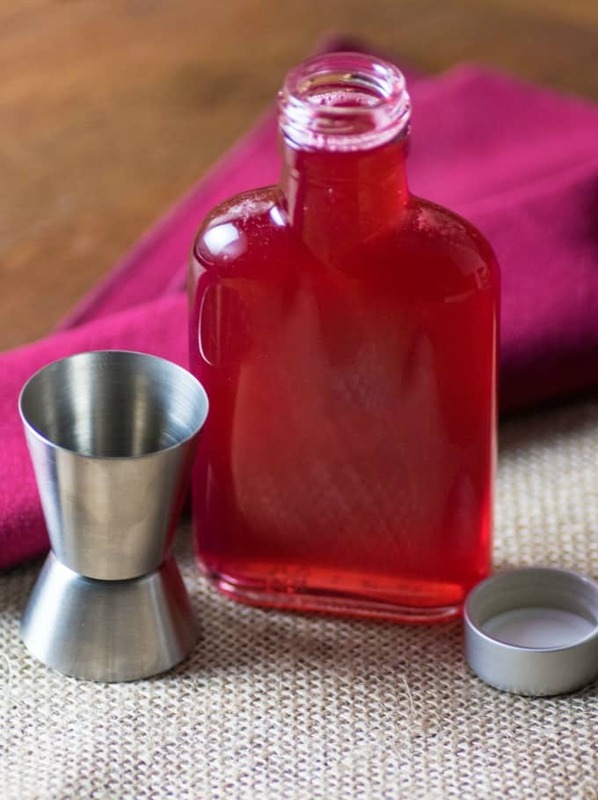 Rhubarb Syrup is very easy to make and great in cocktails or served over ice cream! To make the rhubarb syrup mix together the water, sugar and rhubarb in a medium pot and place on medium heat until it comes up to a boil. Reduce heat to a simmer and cook until the rhubarb has broken apart, about 15-20 min. Set aside to cool and then drain the rhubarb through a fine mesh strainer and reserve the syrup. That sounds so delicious. I have never had rhubarb syrup, but I love rhubarbs, so I know I will love it. Oh wow. I’ve never heard of rhubarb syrup before. I’ll have to give this a try. I’m a big rhubarb fan. Oh my! I love anything and everything rhubarb! I rememember my Mom making a rhubarb syrup for our pancakes when I was little – I have to try making this!! The color is so beautiful, I never had rhubarb before so I will need to find these in the market. I would love to try this syrup and make drinks for the kids and parents. Oh that sounds DELICIOUS! I have never had rhubarb before actually! I’ve never heard of rhubarb syrup before. I can’t wait to try it! Love that it’s so natural! I have always hated rhubarb. All of my life. Or at least I thought I did. This past summer I tried it again (to be polite lol) and it was delicious so I’m definitely trying this yummy sounding syrup. I don’t think I have ever actually had rhubarb. I love the bright color of this rhubarb syrup. I have honestly never used rhubarb, but am going to start. You have some amazing ideas for rhubarb. I have made Strawberry Rhubarb many times but never thought to do Rhubarb on its own. It sounds like the perfect treat. I love Rhubarb! Rhubarb syrup sounds interesting. While I’m not a big fan of rhubarb, I’d definitely give it a try! Rhubarb syrup would be so amazing! I always forget that I can make other syrups than maple or blueberry – I am so used to my old ways that I never think of going outside the box. This looks so delicious! Rhubarb is one of my favorite flavors! I love how you can use this syrup in many different recipes. I love the taste of rhubarb and would definitely like to make your rhubarb syrup as soon as I can find fresh rhubarb here in California later this spring. 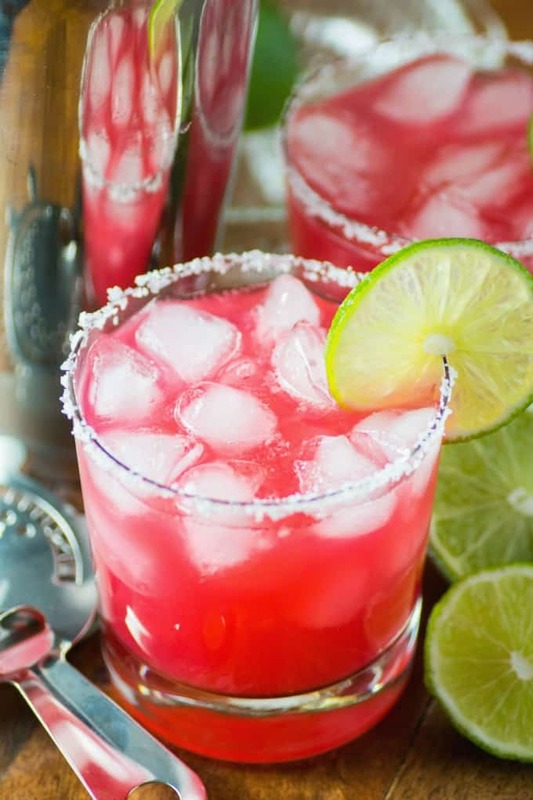 That margarita looks mouthwatering and refreshing and I can’t wait to make that with the syrup. That Rhubarb Margaritas sound (and look) delicious! I’ve never made syrup before, but I’d love to try! If you have ever made a simple syrup it should be close to that, thinner than a thick maple syrup for sure.